NILLA Wafers are a staple in my household. Not only do we snack on them, but my husband makes his infamous banana pudding with them. After all, banana pudding isn't the same without NILLA Wafers. For the very first time in quite a few years, we decided to spend our memorial day weekend as a family, just us. We decided to forego the annual Memorial Day bbq and focus on our little family. However, that didn't mean that we forgo what Memorial Day meant, especially with us being a military family. We are eternally grateful for our blessings and what the sacrifices of our servicemen and women meant for us to be free in our beautiful country. This Memorial Day, although we decided upon not having a bbq, that didn't mean that we forgot about the food and snacks. My husband insisted on creating a few dishes while the snacks were my domain. Banana pudding and no-bake cheesecake are always on the menu, but this time it had to be something different, quick and easy and of course no-bake as well. I had absolutely no intention of slaving behind a stove or oven on such a beautiful day. I had picked up NILLA Wafers along with the NEW Lemon NILLA Wafers at Walmart with the intention of using the original in our banana pudding and cheesecake before the decision was made to create something different. By the way, these LEMON NILLA Wafers are the bomb! My son was the one who suggested, "why not make mini ice cream sandwiches?". Thus the idea was born to create stuffed NILLA Wafers sandwiches, but instead of ice-cream, I opted for a mousse filling. This recipe literally takes 10 minutes of your time as long as you have all the ingredients on hand, and these little snacks will be a hit at your party. 1. In a mixing bowl pour your heavy whipping cream and mix on low speed. Continuously increase the speed until your heavy cream has the consistency of whipped cream. 2. Next, combine your lemon pudding mix and powdered sugar into the heavy cream mixture and continue to mix until the desired consistency of a thick whipped cream is obtained. 3. 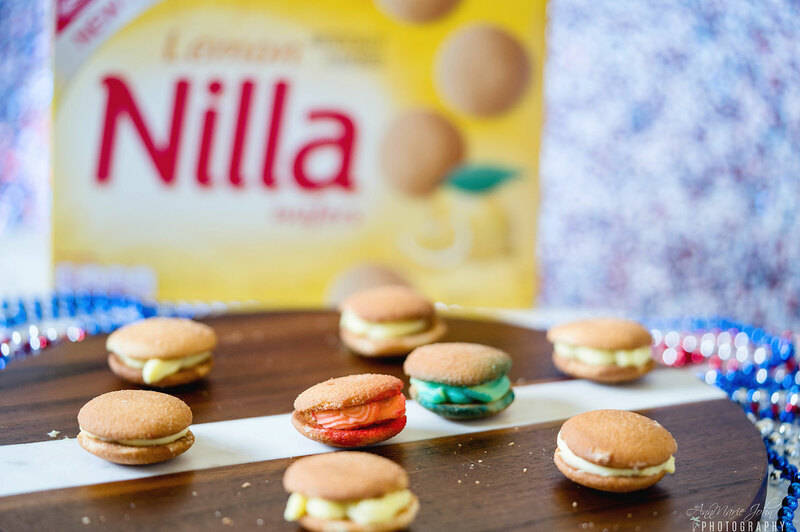 Add your lemon mousse to a piping bag, or a Ziploc bag with the ends snipped and pipe onto your NILLA Wafers. 4. 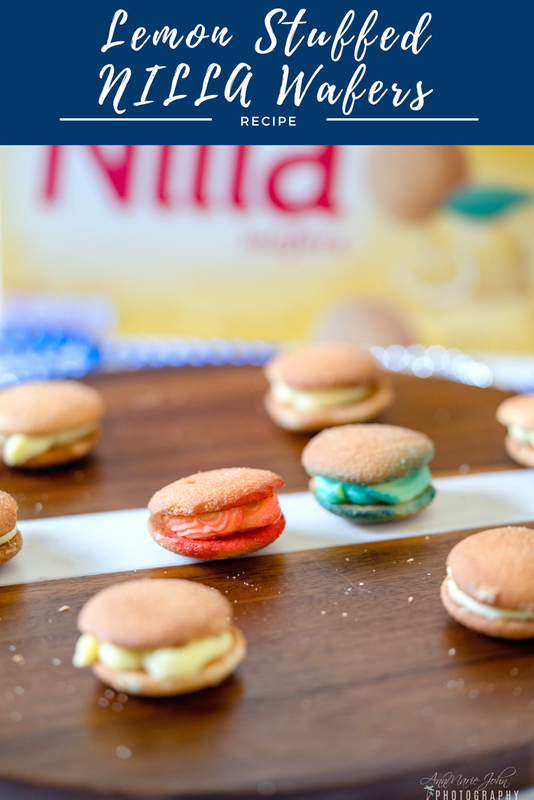 Create a sandwich with your NILLA wafers with the mousse filling on the inside. 5. This is entirely optional. You can use your color mist to create a different color or you may even use sprinkles. 6. Serve immediately or store in the refrigerator in an airtight container. 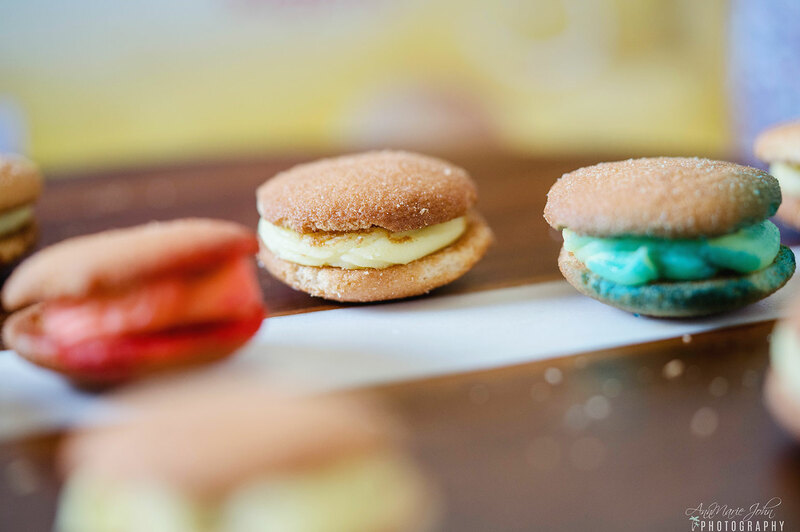 It's amazing what you can create with NILLA Wafers, the recipe possibilities are endless. 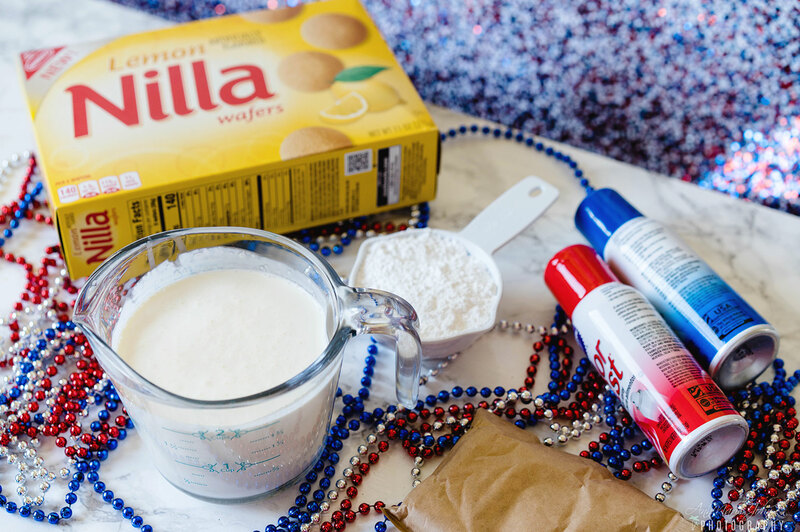 You can find more recipe ideas at the NILLA Wafers recipe site. 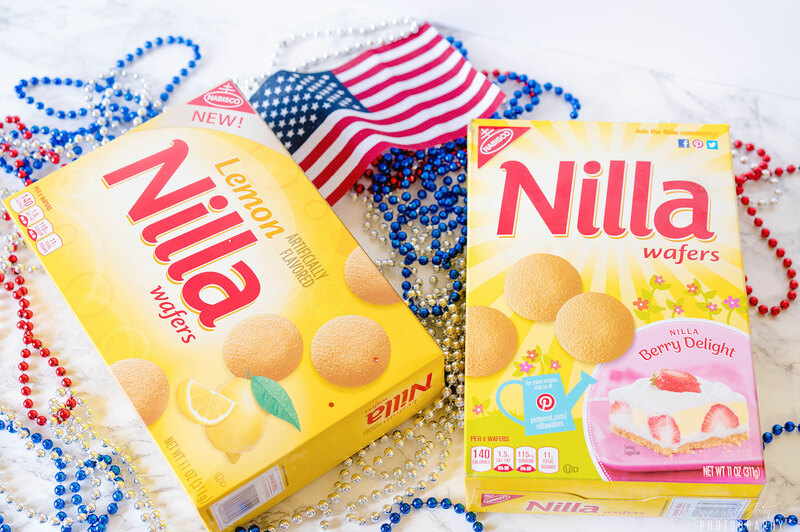 Get the party started with this Lemon Stuffed NILLA Wafers. Not only are they delicious but they are a great, quick, no-bake solution for the impossibly hot summer months that are fast approaching. So the next time you have a party, any party, be sure to purchase NILLA Wafers and Lemon NILLA Wafers at Walmart. How would you like to win some cash so you can start your own summer party? Enter below for a chance to win one of six $50 Walmart Gift Cards or one $200 Grand Prize Walmart Gift Card! Sweepstakes ends Thursday, July 5th.